Buying a House in Nicaragua, Part VI – Finally, My New Home! | Hey Chelito! Buying a House in Nicaragua, Part VI – Finally, My New Home! 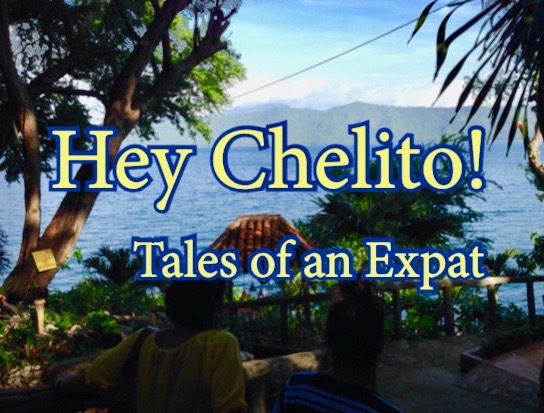 Posted on May 6, 2017 By Erik @ Hey Chelito! My New Home – Viva León, Jodido! The day finally arrived. All the paperwork was in order. There were no other registered owners, no liens, and the taxes had been paid. The seller, the lawyers, the selling agent, myself, my translator, and a couple of friends sat around a large table in the lobby restaurant of a local hotel for the closing of my new house in Léon, Nicaragua. As is common in Nicaragua, everyone was late. My translator was the last to show. I was excited and anxious. I couldn’t believe it. After months of searching, all the hurdles had finally been cleared. My lawyer read the documents one sentence at a time so that the translator could keep up. My Spanish is okay, but even at home, I don’t feel comfortable signing important documents without the advice of attorney. Legal jargon can be a bunch of mumbo-jumbo in any language. After all the signatures were in place, the selling agent handed me the keys and I headed off to my new house. The agent said he would meet me there. I told him everything would be fine. I was wrong. The keys had to be finagled just so to unlock the front door. Two other doors had locks that were corroded and frozen and a third had a padlock on the inside, that we couldn’t get to. The agent went to get a bolt cutter, there was just enough room between the double doors to squeeze them through. Once inside, I found that the bolt locks on three bedroom doors were also frozen. Luckily I was able to gain access to the inside through the side door from the front room. Between three bedrooms, there are two bathrooms that are accessible only from the inside. I later realized that I had left my link chains and padlocks in Managua. I walked up to the market and to purchase new ones so that I could secure the front doors. The owner has never lived in the house. It had been rented for years to a family, I trust that they were there more to keep an eye on the property than anything else. There was trash in the rooms. Toys, plastic bottles, scrap wood and metal laid strewn in the corners. There was trash all over the patios and they were overgrown with all kinds of fruit trees and bushes. The house is somewhere between 210 and 240 years old, I got several different responses but couldn’t get an exact date. It is need of some sprucing-up before I can move in. I have been staying in hostels, but have just rented a small apartment on a month to month basis. Once livable, I will move into the house. As long as I have electricity and water, I’ll be fine. I will save a bunch of money by living on site during the construction. I bought the house knowing that it was going to be a project. It is going take four or five months to get things to the way I envisioned. Most the roof has to be replaced. The ceiling is rotting from the inside, bats hang on open wires from a long outdated electrical system. The outdoor open kitchen needs total replacement. And the bathrooms reminded me of something out of the movie Papillon. This the end to the first part of my story. The reality of it all is still sinking in. One minute I was traveling and the next minute I was calling León, Nicaragua home. Were you aware of the condition of the house when you purchased it or was it a surprise? It’s a project but I’m sure you’ll have a great sense of satisfaction when you are done. Please publish photos of your completed remodel. Best wishes for smooth building. Thank you for your support. I purchased a location more than a house. I had seen the property a few times and was aware of its condition. I was able to meet with a handful of construction companies before the purchase to get an idea of what I could expect. I’ll keep you posted. I would love to follow your renovations ….. I’m green with envy! I am super excited as well, thank you. I plan on posting about my new project. Stay tuned. Léon was the best fit for me. It is safe, lively, and near the ocean. It is considered to be the intellectual hub of Nicaragua, it reminds me the college town I left behind. Music, art, architecture, restaurants, bars, students, universities, and museums are all over the city. Plus it is fairly centrally located. I can be to almost anywhere on the pacific coast in about three or four hours. Congratulations on your new life and adventure. Looking forward to the day I will move to Nicaragua and maybe visit your area. You won’t regret it. I settled on León, but there are plenty of great towns to call home. Pingback: Viva León, Jodido! | Hey Chelito! Pingback: The Doors of Perception | Hey Chelito! Pingback: Are Sure About This? | Hey Chelito! Pingback: Blood, Sweat, and Tears | Hey Chelito! Pingback: Born To Run | Hey Chelito! Pingback: Unexpected Hiatus | Hey Chelito! Pingback: My New Home Is Done, Finally! | Hey Chelito!